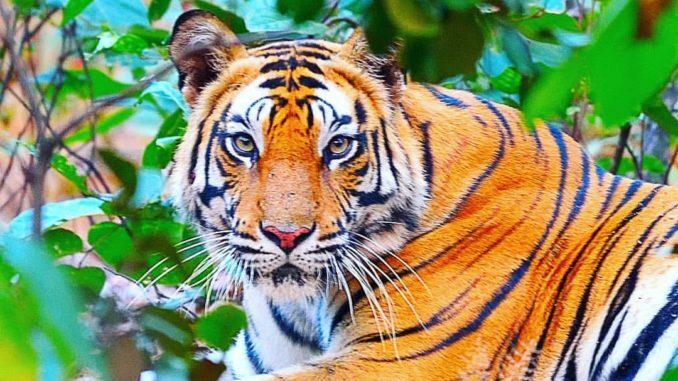 Sanjay National Park also called as Sanjay Dubri Tiger Reserve or Sanjay Dubri National Park is located in the Siddhi district in the state of Madhya Pradesh. It is spread over the area of 1674.511 sq. km. It comprises Sanjay National Park and Dubri Wildlife Sanctuary, both covering an area of more than 831 sq. km. All of Sanjay Reserve had been in Madhya Pradesh before Chhattisgarh was carved out of it in the year 2000. A large part of the area became a part of Chhattisgarh, and this forest area was renamed as “Guru Ghasidas National Park,” by the Government of Chhattisgarh. 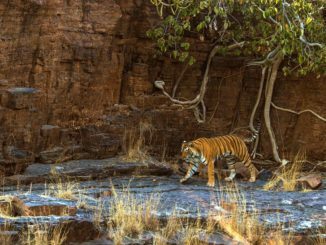 This Indian tiger reserve is based in the north-eastern portion of Madhya Pradesh between Palamau Tiger Reserves and Bandhavgarh Tiger Reserves. Sanjay-Dubri Tiger Reserve began to be supervised by the Project Tiger from the year 2008 onward. The Reserve is well known for its large area and rich biodiversity. It is located in Narmada Valley dry deciduous forests’ region. The topography is undulating. Some areas have hills and some comprise the plains. The soils are of sandy nature. Two streams pass through the Dubri Wildlife Sanctuary, Umaria and Kodmar, both of which are perennial in nature. The forest comprises 80 percentage of sal forests and the remaining 20 percentage are mixed miscellaneous forests. Other than sal, there are other trees namely, Saja, Salai, Mahua, Bija, Semal, Gurjan, Shisham and Bamboo. The area experiences tropical climate conditions with basic three main seasons which are winter, summer & monsoon. Winters start from mid of October and last till mid of February. Summers start from mid of March and last till mid of June, the temperature reaching as high as 42 to 43 °C. Monsoons begin from July, but the showers continue to pour till September or October. 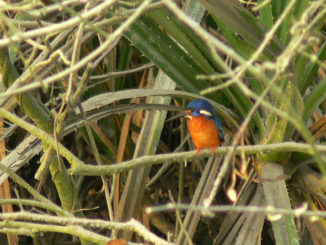 The reserve is rich in wildlife. The most commonly seen species are Indian gazelle or Chinkara, Nilgai or Blue bull, Wild boar and panthers. Sloth bear is a common sight in many localities. Among mammals, Indian field mouse, squirrel, porcupine, and flying squirrel are seen quite often. 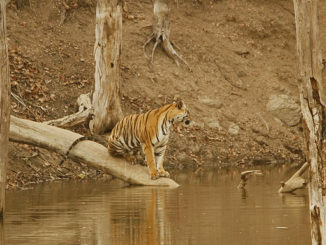 Royal Bengal Tiger is the most admired animal in the Reserve. Several species of birds are also found in the Reserve including herons, egrets, white-necked stork, white ibis, whistling teal, kites, eagles, harrier, vultures, partridge, quail, jungle fowl, lapwings, sandpipers, pigeons, doves, parakeets, cuckoo, owls, nightjars, kingfishers, paradise flycatchers, myna, munia, warblers, baya, Sunbird, etc. Fishes are also found in the rivers. Among reptiles, garden lizard, chameleon, skink, Bengal monitor, etc. are of common occurrence. Among snakes, common cobra, common krait, Russell viper, saw-scaled viper, rock python and rat snake are commonly seen. Sanjay National Park is now fully open for tourists and they can enjoy the safari in the reserve. It can be combined with Bandhavgarh National Park which is just 100 KM / 3 hrs drive away from the reserve and the guests can enjoy the morning, afternoon safari. The morning safari starts at 6 AM and goes on till 10 AM. Afternoon safari starts at 02.30 P.M till sunset i.e. until 6 PM or 7 PM. The afternoon safari’s time keeps changing from season to season. The park remains closed on every Wednesday for the afternoon safari but one can always go and enjoy the morning safari. INR 5800/per jeep/per ride up to 06 people for Foreigners. There are many other spots of tourist attraction around the reserve. People can take pleasure of the beach activities on the Banas River and they can spend 4-5 hours walking on the river bank and swimming. One can also enjoy bird watching. Not only this, every Saturday one can visit the Tribal Haat (Local Market) in Chamrdadol which is just 5 KM from Sanjay National Park main gate. The bonfire can be enjoyed followed by the tribal dance for which one can pay extra during the stay. 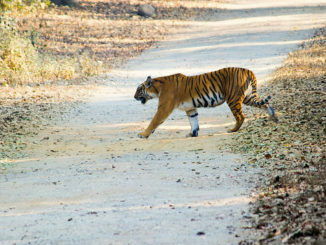 The best time to visit the Sanjay Dubri Tiger Reserve is from November till June. Post monsoon opening date of the park is 14th October every year and it is closed 1st July onwards. Nearest airport to reach Sanjay Dubri Tiger Reserve is Rewa airport, about 165 Km from the park. Sanjay National Park is well connected by road to Rewa airport. One can reach the reserve by rail as well. The nearest railway station is Rewa railway station, about 170 Km from the Sanjay National Park. Tourists can go there by road also. Sanjay National Park is well connected to major cities of India and places by road network. There are a number of government and privately-operated vehicles that go to Sanjay Park at frequent intervals. Sanjay Dubri Tiger Reserve has good connectivity via Siddhi, which is the nearest big town & a district. It is also connected with Rewa, Jabalpur, Varanasi & other major towns around.